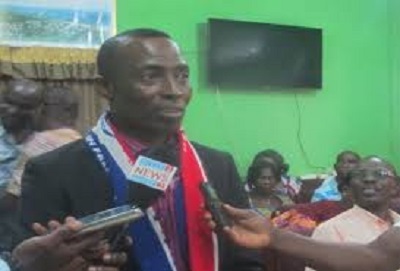 THE NEW Patriotic Party (NPP) constituency executives in Kpone-Katamanso Municipality of the Greater Region have called on President Akufo-Addo and the leadership of the party to disregard calls for the removal of the Municipal Chief Executive (MCE) of the area, Solomon Tetteh Appiah. According to them, issues raised against the MCE are total fabrications and do not represent the fact of the matter on the ground. Some members of the NPP led by one Mr. Samuel Osae held a press conference on October 27 at Zenu-Atadeka. They made several corruption allegations against the Kpone-Katamanso MCE and called for his removal from office by the President. They accused Solomon Appiah of financial malpractices and awarding of contracts to friends and cronies as well as nepotism with the use of the yet-to-be approved trial budget document of the assembly. On October 31, 2018, another group led by Mohammed Abduali, also held a press conference and made allegations of award of contracts to the constituency executives. Earlier, Mr. Osae was said to have petitioned the Greater Accra Regional Minister, Ishmael Ashitey, to ensure the dismissal of the MCE but his failed attempts led to the press conference. According to the party, the allegations levelled against the MCE are unfounded and full of misrepresentation of facts. “The constituency executives stated that the two, Mr. Samuel Osae and Mohammed Abdulai and their associates did not follow the laid down structure of the party and have therefore been referred to the Constituency Disciplinary Committee for further disciplinary action. The party executives described as parochial and selfish calls for the removal of the MCE, saying the NPP in Kpone-Katamanso is solidly behind him and therefore would resist any group or individuals that attempt to thwart his efforts.